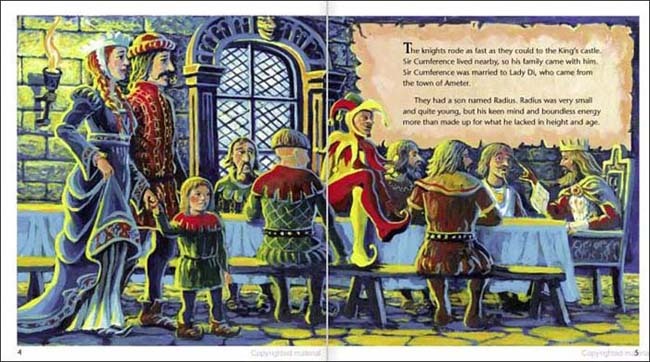 In the first book in the series, King Arthur and his knights must use circumference, diameter, and radius to come up with a better table for their meetings. Their existing rectangular table is too long, requiring them to shout to be heard! 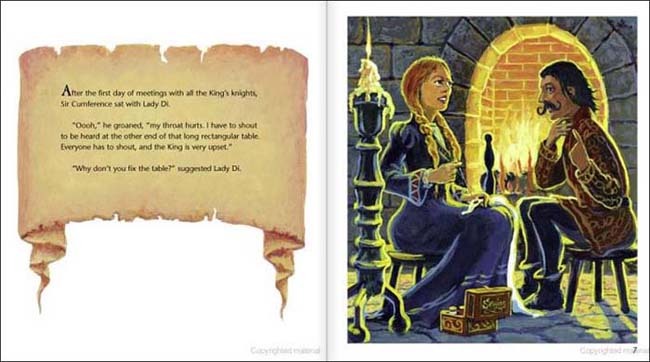 Paired with engaging illustration, this is memorable way to introduce these geometry concepts. Although this book has a state interest level of grade 1-3, we think it is great for older kids as well. In fact, if you read the positive reviews on Amazon.com, there are upper grades, even high school teachers, using it in their own classrooms! 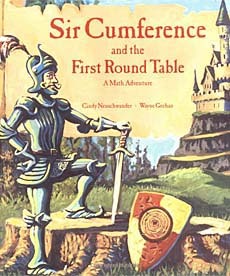 This is a great series for teaching different geometry topics to kids! 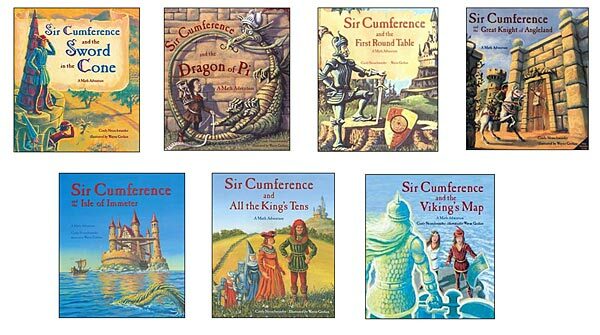 To learn more about the Sir Cumference books, click the image below or here.